Camping Lous Suais is a campsite with 80 touring pitches and 5 year round pitches. 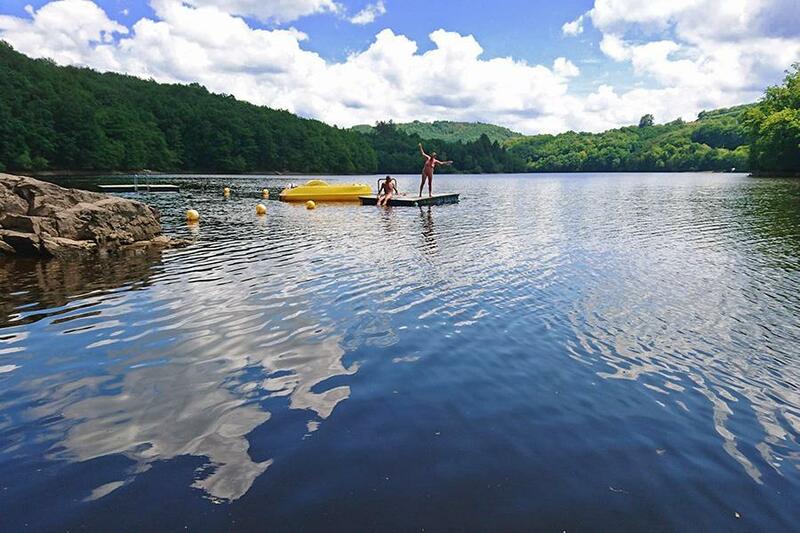 During low season, between 01-05-2019 - 30-06-2019 and 01-09-2019 - 15-10-2019, the nightly rate is €18,- at one of the 80 touring pitches at Camping Lous Suais in Cheissoux (Haute-Vienne). At this campsite you can not only use your CampingCard ACSI for inexpensive camping, you can also use your ACSI Club ID (as an alternative ID). A very welcoming naturist campsite, partly located in a forest. Many water sports options on the lake. Gilles and Vincent are looking forward to meet you. Would you like to book Camping Lous Suais or request more information? You can do both using the information below. In Limoges exit 34 direction St. Léonard. In St. Léonard D14 direction Lac de Vassiviére. After 3 km D13 direction Champnètry. In Cheissoux take the first right. Follow signs. CampingCard ACSI will send your information request to "Camping Lous Suais".